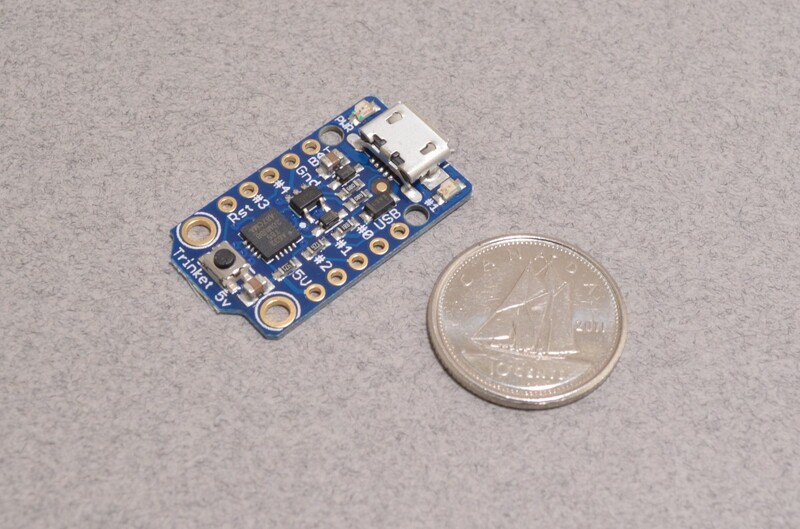 The Adafruit Trinket is a tiny, low cost, microcontroller that has been designed around the Atmel ATtiny85 chipset. 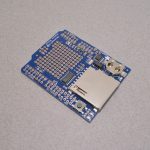 This board is small enough to fit into just about anything and has a low cost to be used in one time projects. This is the 5V version of the Trinket. It can be run at 8MHz or 16MHz and has 5 x 5.0V logic GPIO pins (2 are shared with the USB port). The 3 independent pins are multi function. Each pin operates as a digital I/O; one can also be used as an analog in put while the other two can be used as PWM outputs. 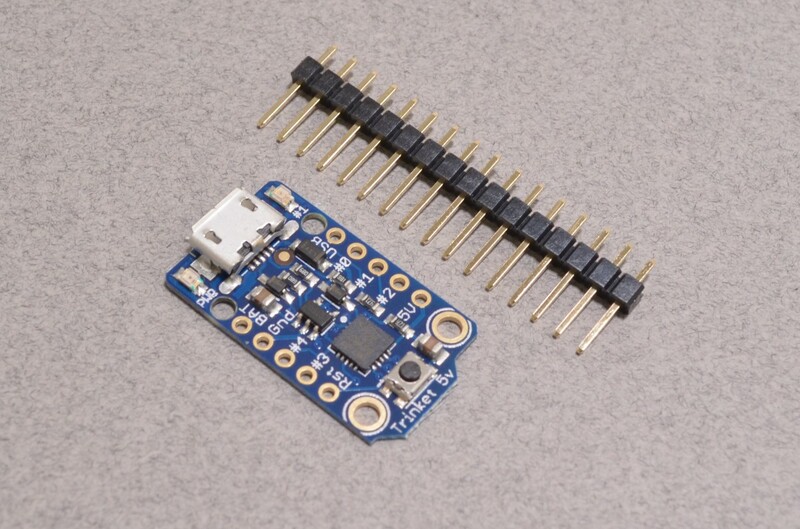 For more complex sensors and interfaces, there are also hardware I2C and SPI capabilities. 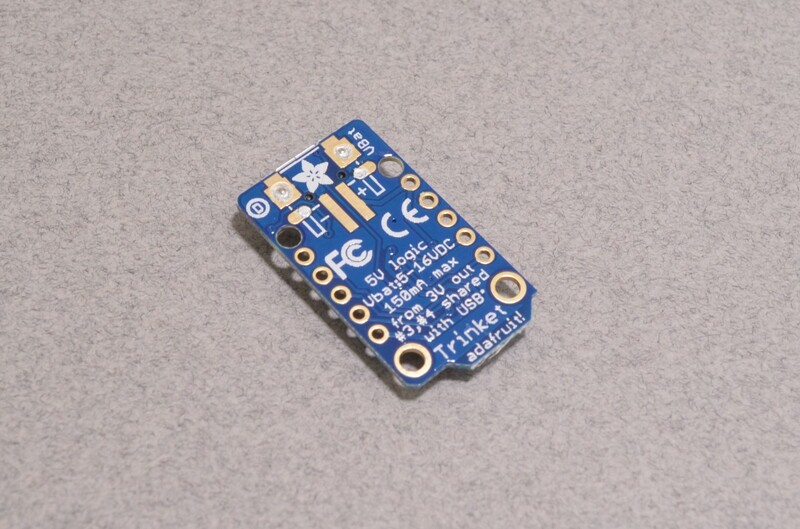 The Trinket is programmed using the Arduino IDE and is compatible with most Arduino libraries. 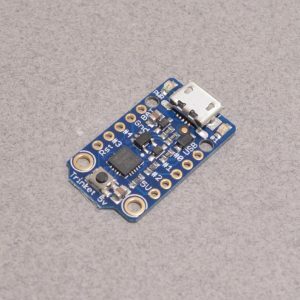 It should be noted that it is not 100% Arduino compatible as its size and number of pins do put limitations on functionality. 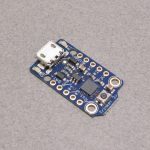 Serial debugging by USB is not available with this board – A trade off with something so small and low cost! Up to 16V input, reverse-polarity protection, thermal and current-limit protection. 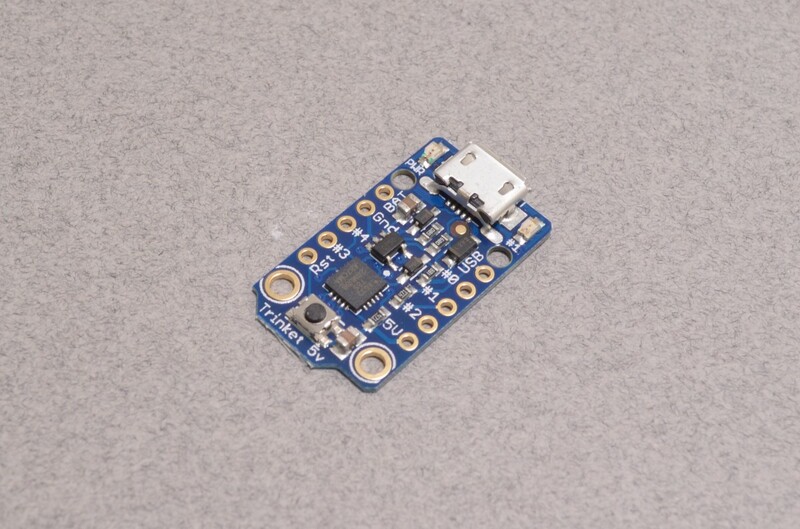 On-board 5.0V power regulator with 150mA output capability and ultra-low dropout. SKU: MCR-002. Category: Adafruit. Tags: Adafruit, Light Packet, Microcontroller, Trinket.